The Center for Disease Control and Prevention (CDC) estimates that the majority of Americans spend 90% of their time indoors with many of those hours in a workplace environment. 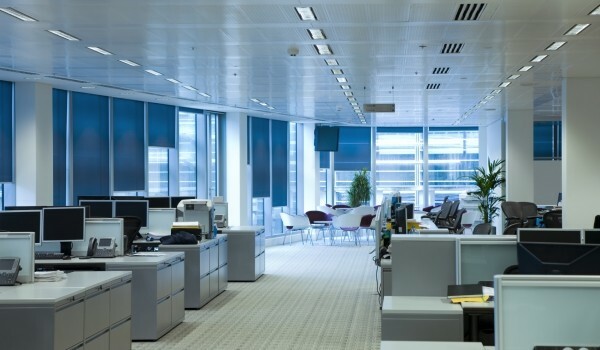 Poor indoor air quality in a workplace environment affects building occupants. Reduced worker productivity, increased absenteeism, occupant/employee complaints and the increase for potential litigation are all direct results of unsatisfactory indoor environmental conditions. The AirMD IAQ Environmental Management System was created to educate business owners, building owners and management about indoor environmental conditions and to reduce potential liability in commercial office space. This comprehensive multi disciplinary IAQ management system will help to prevent and/or minimize potential IAQ issues and also offer resources to assist with such problems in the event they do occur. According to the Occupational Safety and Health Administration’s (OSHA) Indoor Air Quality in Commercial and Institutional Buildings publication, it is in the best interest of everyone that building owners, managers and employers take a proactive approach to address IAQ concerns. Unfortunately there is a tendency for building and business owners as well as facility experts to ignore the potential for an IAQ problem – until they have a problem. However, a regularly scheduledIAQ monitoring program can greatly reduce the need for remedial services thereby saving thousands of dollars. AirMD’s Environmental Management System begins with the Indoor Air Quality Monitoring Plan. In addition, there are several additional modules that may be added depending on your specific business needs and budget. The Indoor Air Quality Monitoring plan will help identify potential issues, provide simple measures on how to improve conditions and provide cost savings for building owners and businesses. The initial phase starts with a review of the physical building and building plans. Potential environmental risks and/or deficiencies are assessed and a monitoring plan with specific goals is developed based on the information collected. The second phase includes regular, periodic sampling and assessments. The results are analyzed and a report is generated. If issues are present, specific direction on cost effective measures will be provided. Once it has been determined that the building has achieved the desired goals, a compliance certificate will be issued . AirMD is dedicated to bringing awareness to the necessity of improving and maintaining a healthy indoor environment. Continue reading on to learn about the additional options available to build a complete Environmental Management Program.